Frank Herbert’s classic 1965 sci-fi novel “Dune” is my favorite book. The book is considered to be to Sci-Fi, what Lord of the Rings is to fantasy. There have been multiple attempts to adapt Dune, always with mixed results. 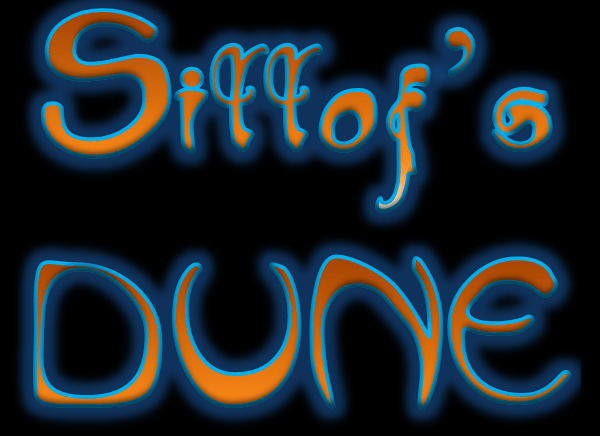 The following figures are my designs of the world of Dune. I only used the literary descriptions from the original Frank Herbert books of the characters, costumes and colors for my designs. 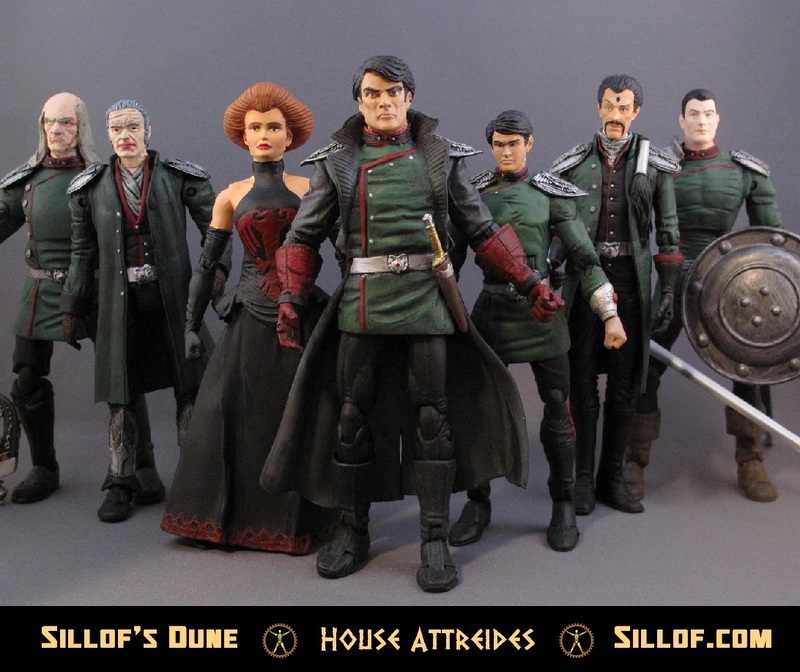 House Atreides was one of the most powerful major noble families in the the Landsraad. Lead by Duke Leto, the family was put in charge of the planet Arrakis as part of plot between the Padishah Emperor and House Harkonnen. The home of the house, before Arrakis, was the planet Caladan. The house’s symbol is a Hawk and it’s colors are Green and Black with Red accents. Padishah Emperor Shaddam Corrino IV, Emperor of the known universe. 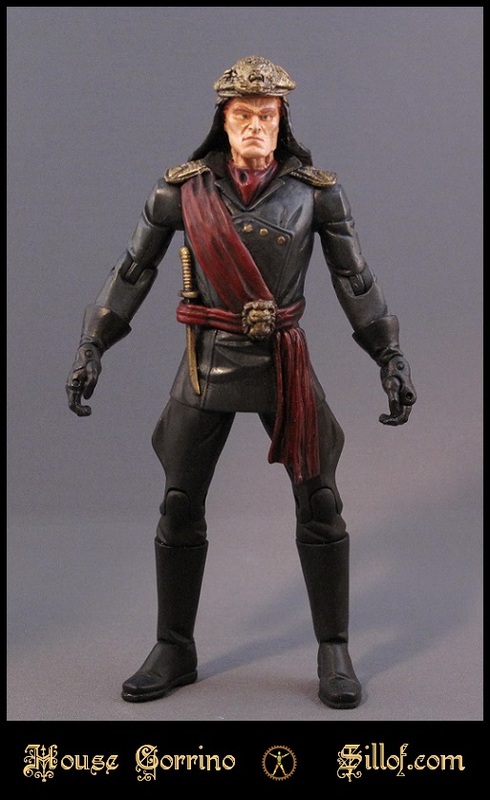 The Emperor look is designed to have a military look, as the book describes, but with a Middle Eastern flare, due to the subtext of the Dune novel for the Middle East. The Emperor is dressed in the colors of house Corrino, Crimson Red, and is adorned with the house seal, the Golden Lion. The Emperor comes with ceremonial curved golden dagger. Irulan comes in regal imperial gown in the house color of crimson. She wears a simple golden crown, but is adorned with the golden head frame. The Reverend Mother is wearing the black robes, as described in the book. She comes slumped and hunched over with interchangeable hands; one hand in a plain shriveled hand & the other holds the green box of pain to test young Paul Atreides. House Harkonnen was another of the Major Houses in the Imperium. The ruled from the industrialized planet of Geidi Prime. They were infamous for their brutality and malevolence. 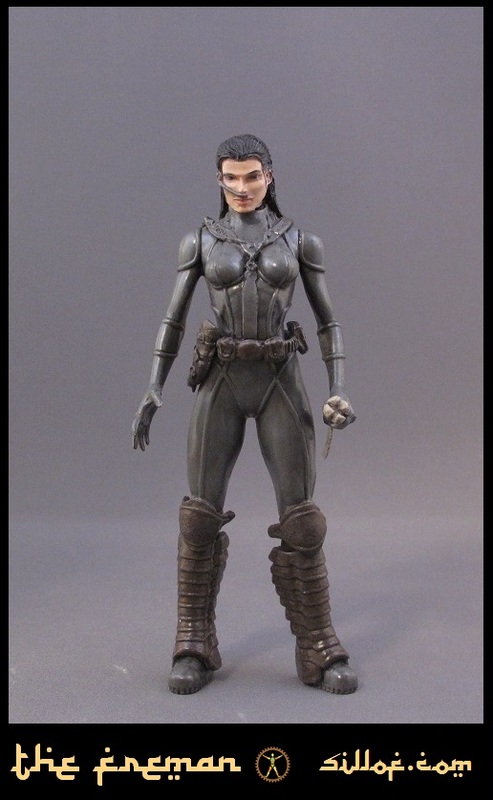 They entered into a secret alliance with House Corrino to undermine House Atreides. The house symbol was the griffin and their colors were blue and black with red accents. “Grossly and immensely fat. 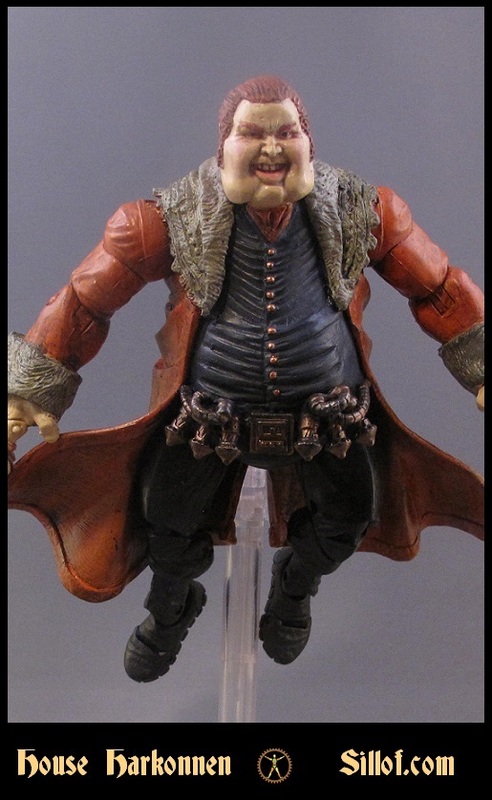 And with subtle bulges beneath the folds of his dark robes to reveal that all this fat was sustained partly by portable suspensors harnessed to his flesh. 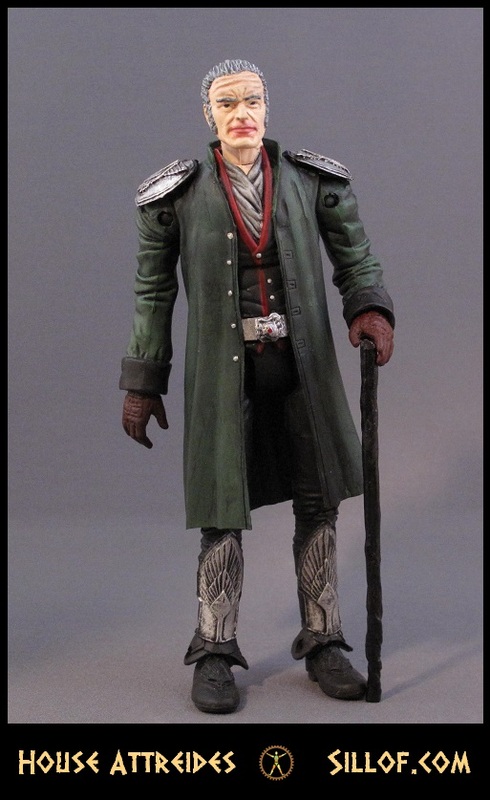 The Freman are the indigenous people of the harsh desert planet Arrakis. Their tough surroundings lead the them developing into quite a resourceful and tough people. They lived in communities called sietches. They wore suits that reclaimed the body’s water waste, called stillsuits. Their prized weapon was the Crysknife, made from the tooth of a sandworm. They were an integral part of Muad’Dib’s galactic jihad. To read more about how I designed the Stillsuit and other Freman technology see the bottom of the page. I kept with the descriptions given of the younger Paul and just made him older looking. There is no real description given in the novel, I just thought it would be fun to make the figure.